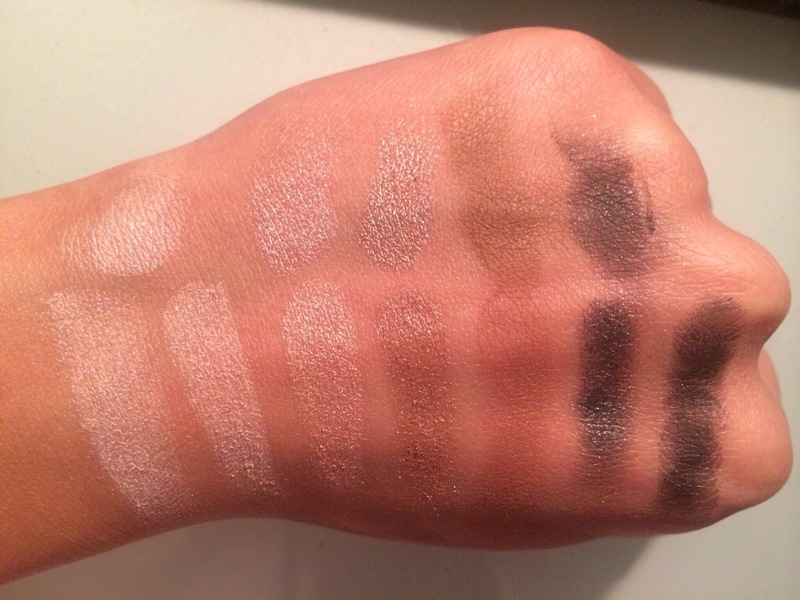 Top row is shades that can be comparable with Naked 1 shades. R1S5: A warm tan brown shade. 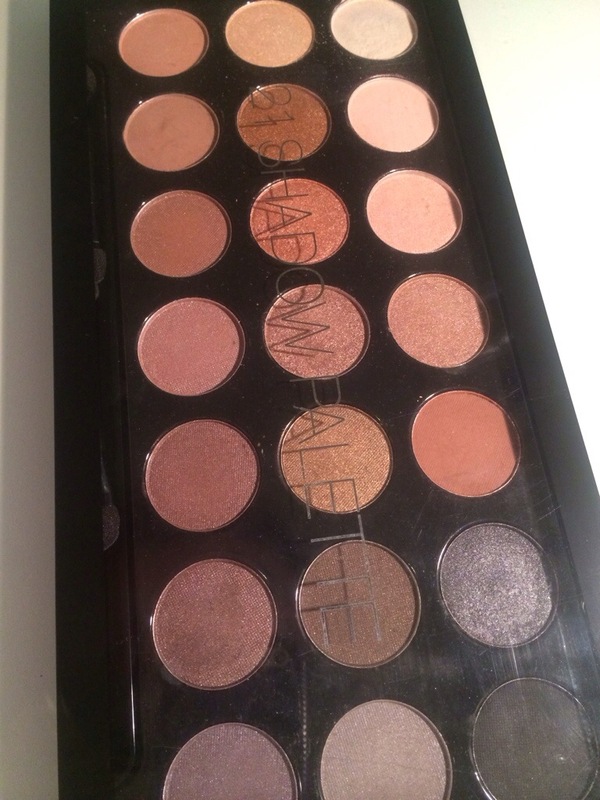 One of the 3 matte shades available in this palette. 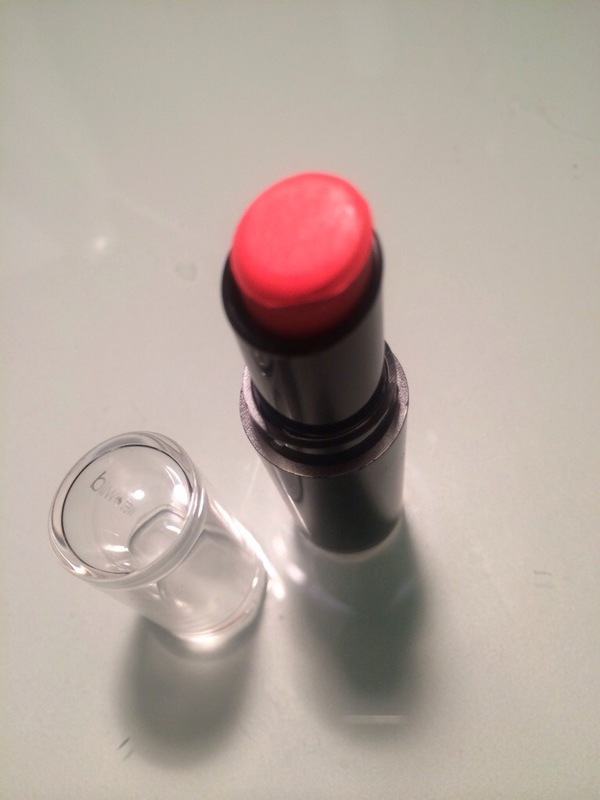 Compared to UD’s “Buck”, it has a lot more red toned warmness to it. 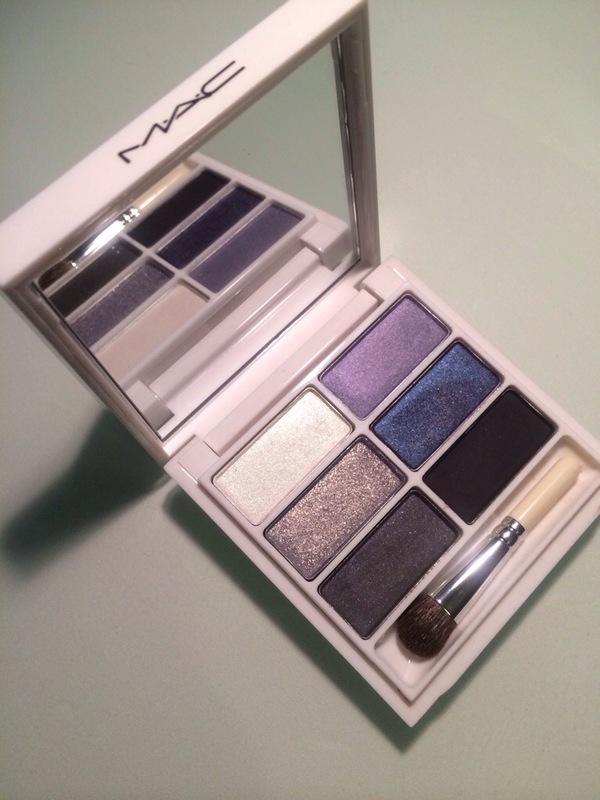 R1S6: Very soft and extremely pigmented shimmery dark blue. somewhat comparable with the UD’s “Creep” however creep is more black than blue. Also creep has silver glitters in it. 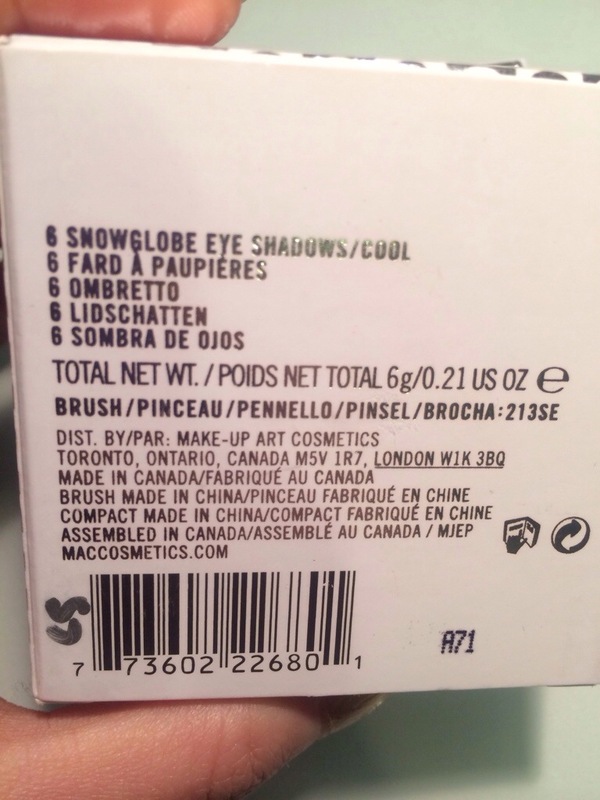 R1:S7: Just a matte black, very pigmented when picked up, however not as pigmented when swatched. 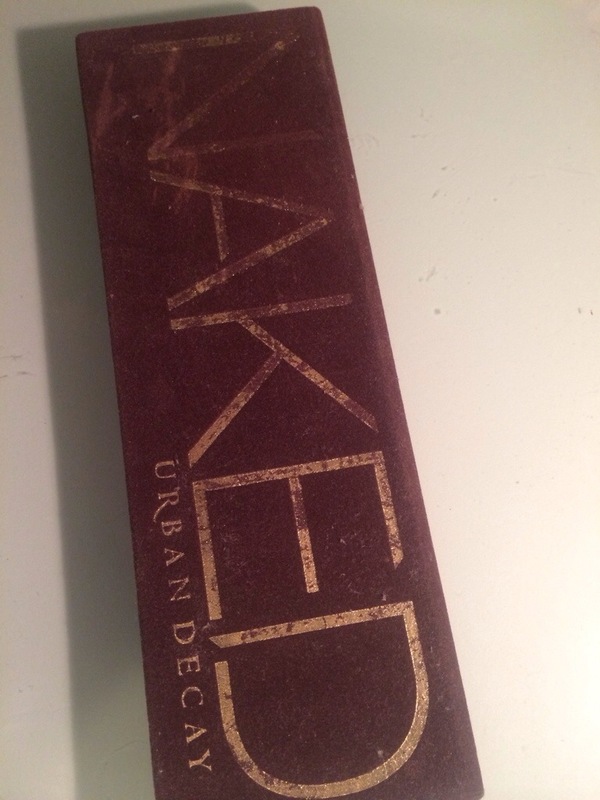 Second of the 3 matte shades, i think this is the only shade that is very missing from the UD’s naked palette. R2S1: A very chalky shimmery white shade. 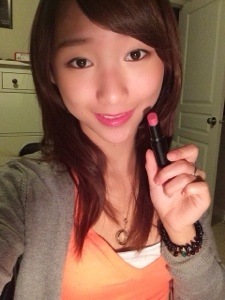 R2S4: A nice medium brown shade. 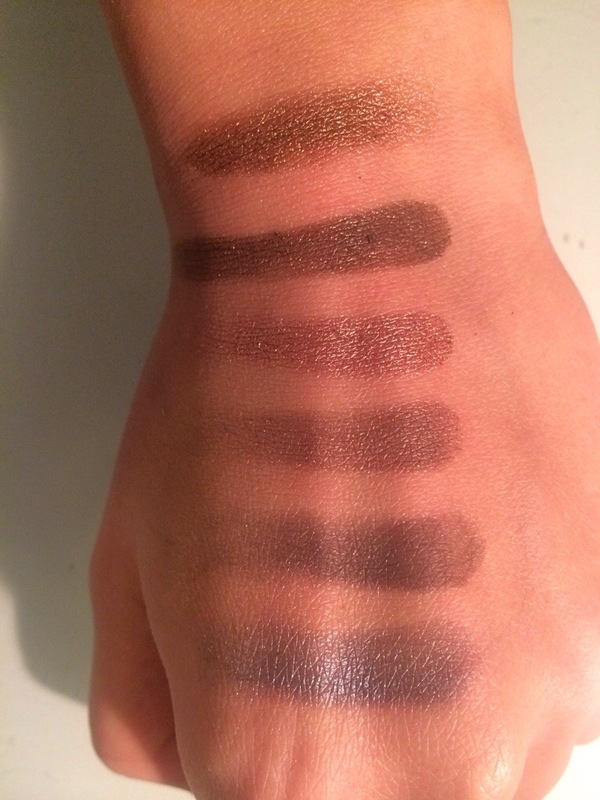 Looked like it could be a possible dupe for Hustle, however Hustle is far more deeper when swatched not extremely pigmented but nice. 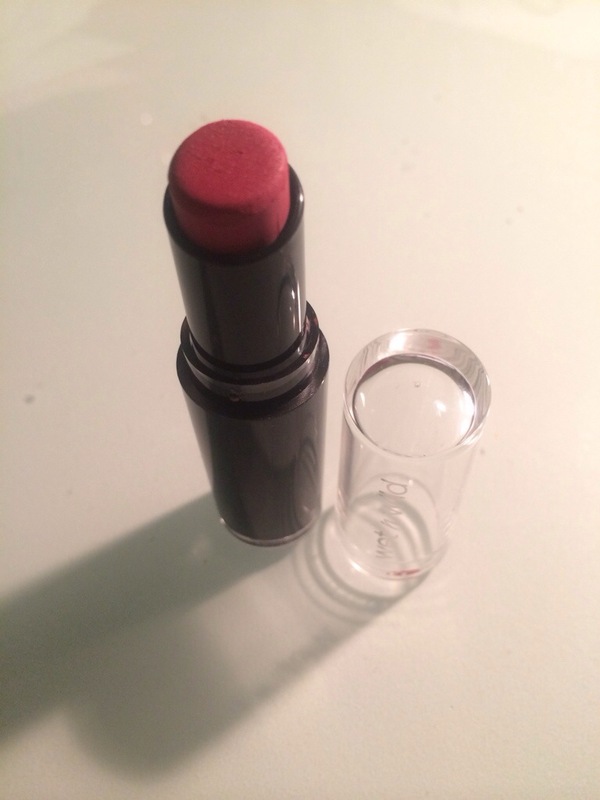 R2S5: A pigmented shade, at first glance, it looks like a medium with hints of a green shade, when swatched it is the BANG ON DUPE for “Smog” wow and its also extremely pigmented. not as much as smog is, but still very nice shade. R2S6: a pretty dark taupe shade with a hint of maybe even purple. 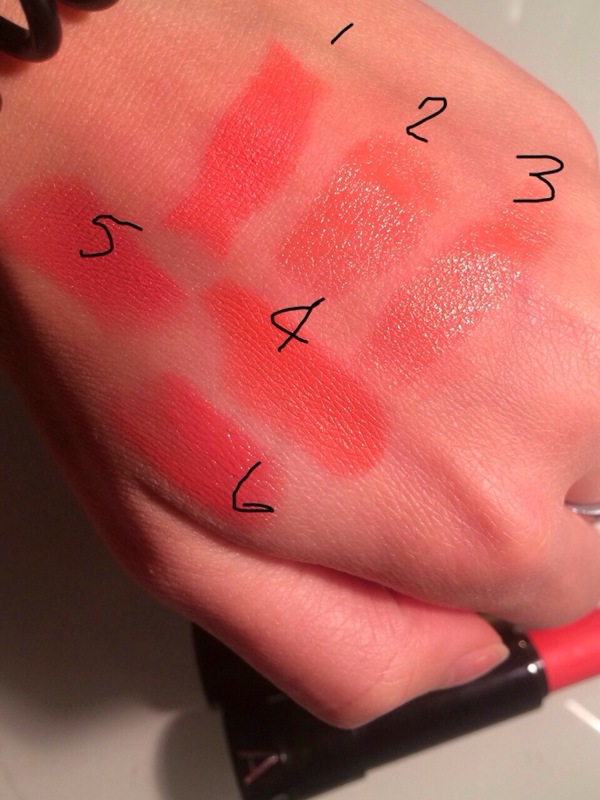 pigmented when picked up with finger, however not pigmented when swatched. 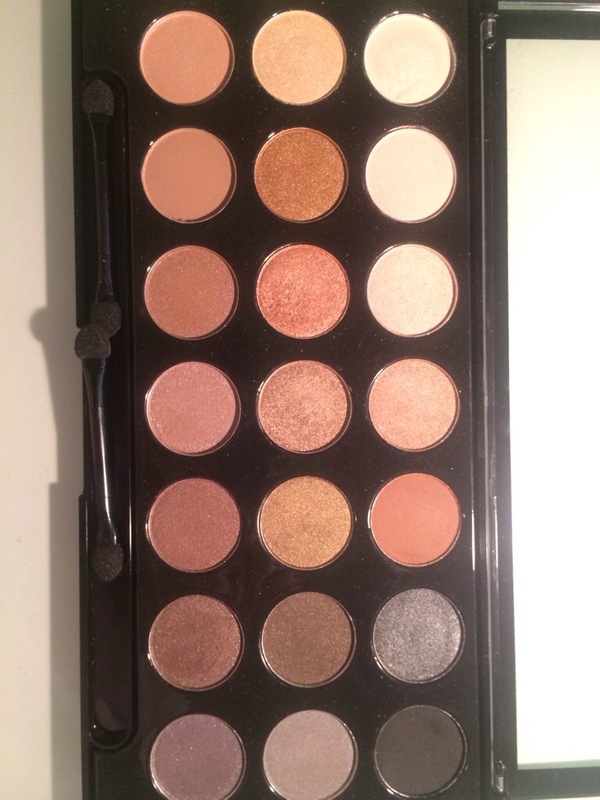 R3S7: Actually this is the last shade in the palette but because I was running out of room, this shade i swatched first. 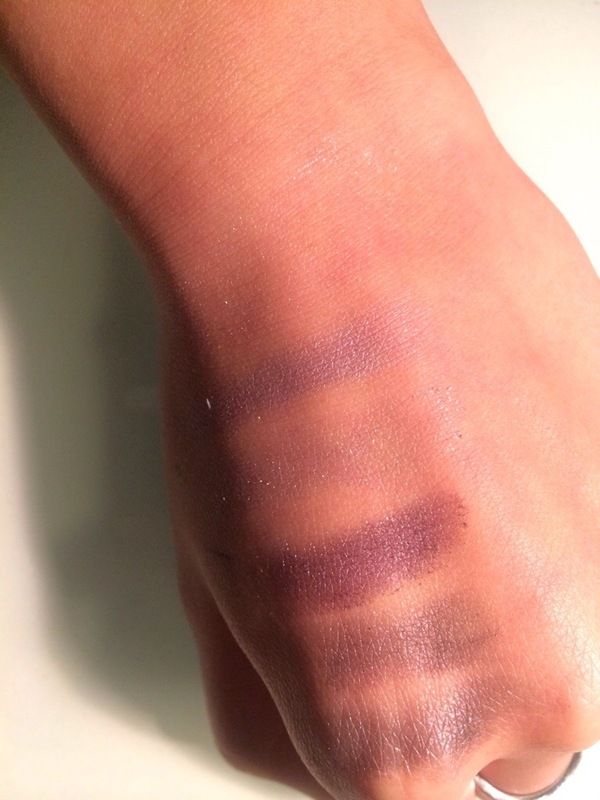 It is a very pretty purple taupe shade, with a sheen, soft but not extremly pigmented. 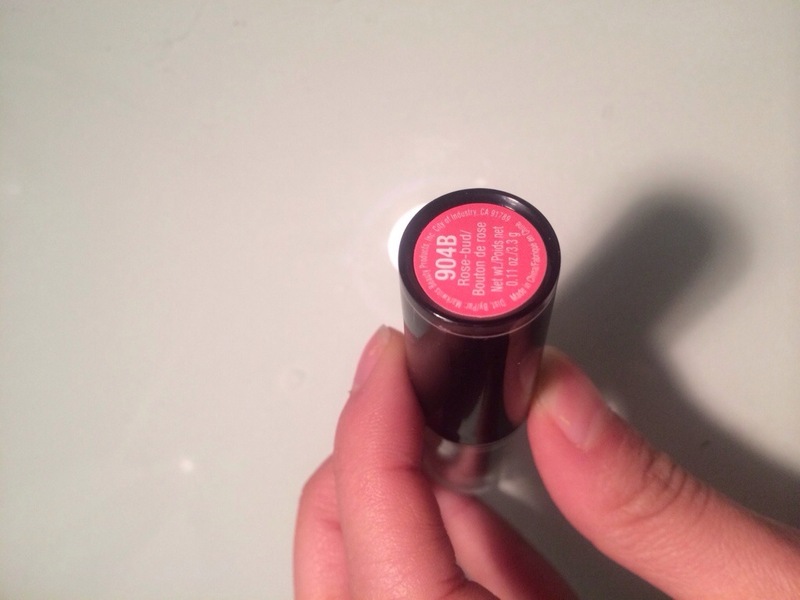 R3S1: A sheet peach shade, very comparable to the R1S2 color, but less pigmented. 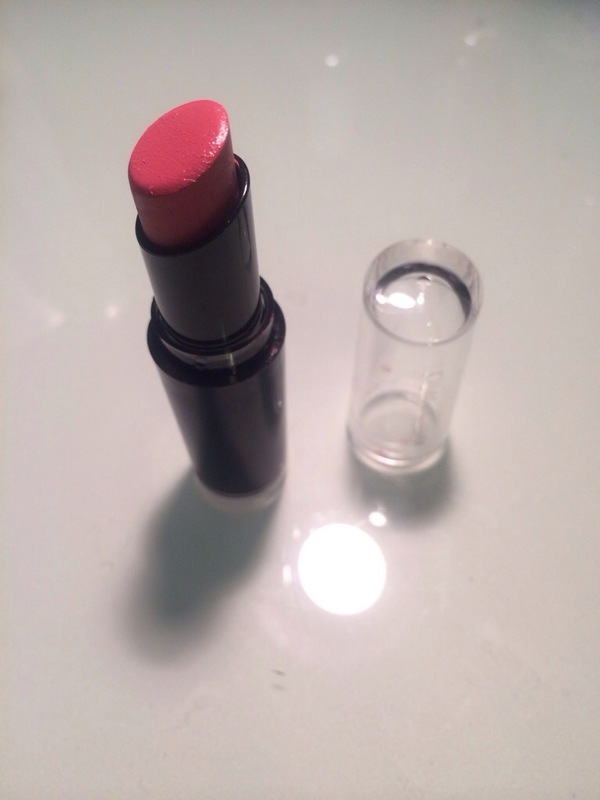 R3S2: A tan medium light shade somewhat has a weird tan shade but leans towards more pink. 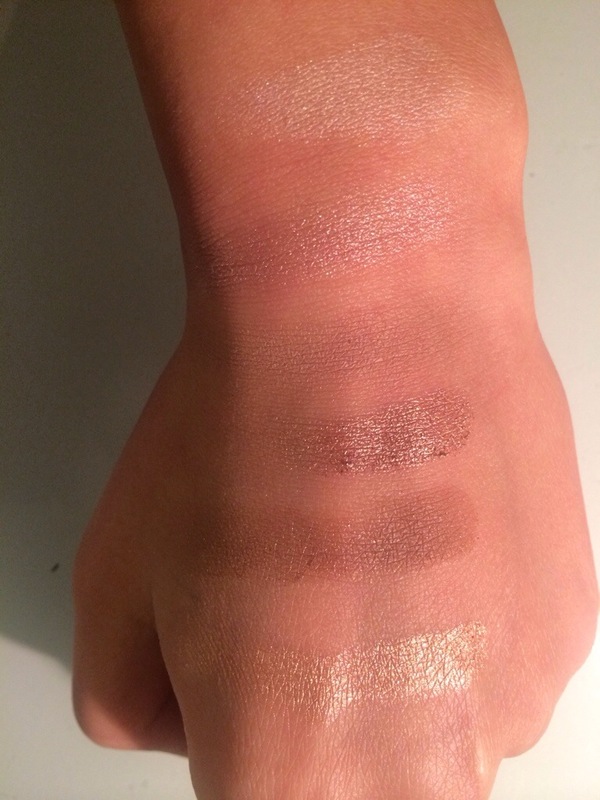 Comparable to UD’s Naked, however naked (swatched above, hard to see) is more neutral and a lot softer. R3S4: sheer color a lighter version of the R3S3 shade. 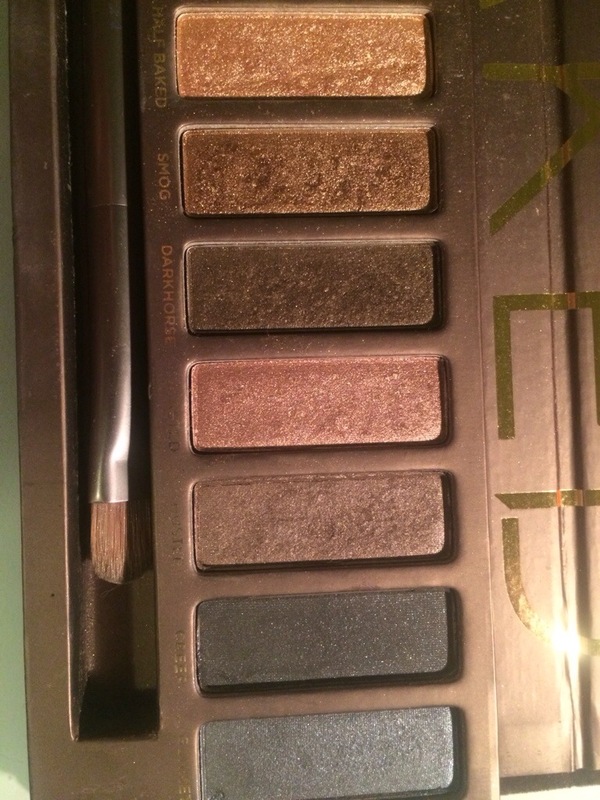 R3S5:pigmented, and later i discovered is actually the almost exactly spot on dupe of Toasted! only difference is that this shade has less of a reflective factor, as Toasted is very light reflective, but color wise exactly same. 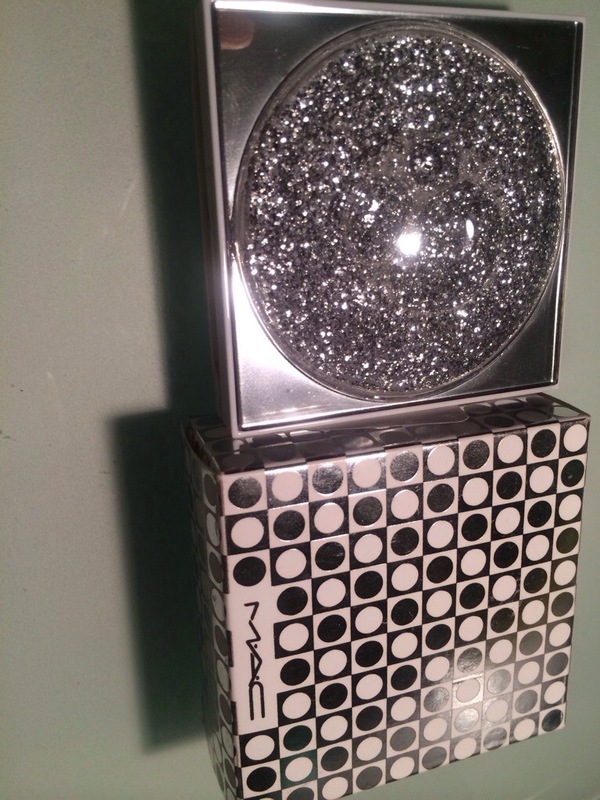 R3S6: a pretty close dupe to UD’s Hustle, however hustle is more neutral grey brow and this is more shimmery with many small silver sparkles. leans a bit towardss purple as well, but barely. 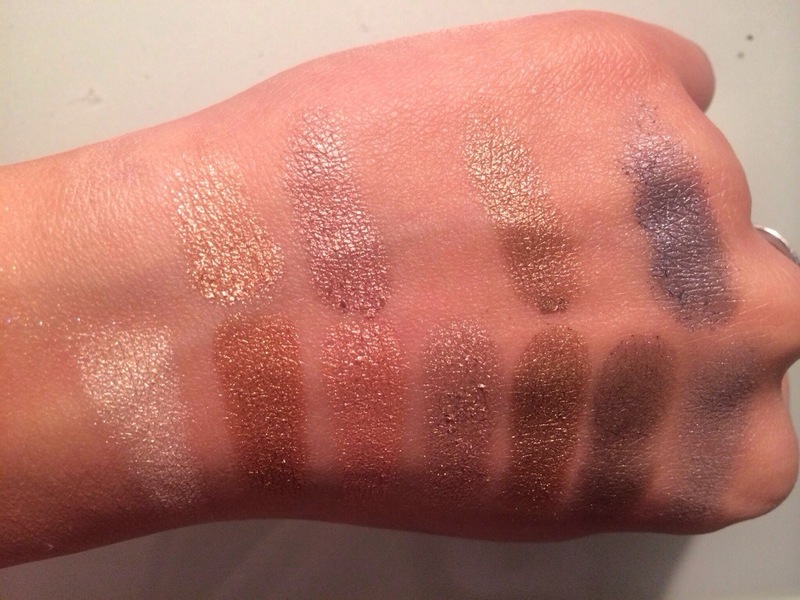 also very pigmented. I start to realize that my orange coral collection has really started to grow! 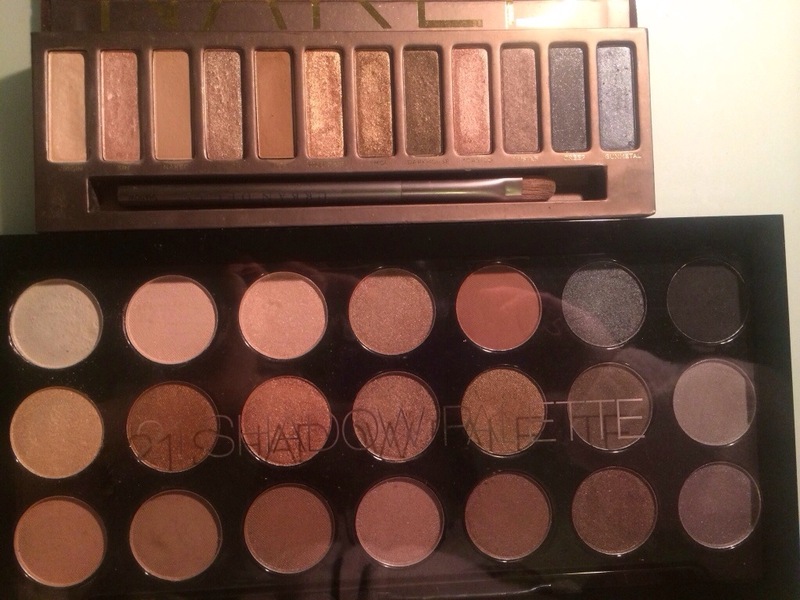 I have this huge obsession with these two shades that i just natural get drawn to it! 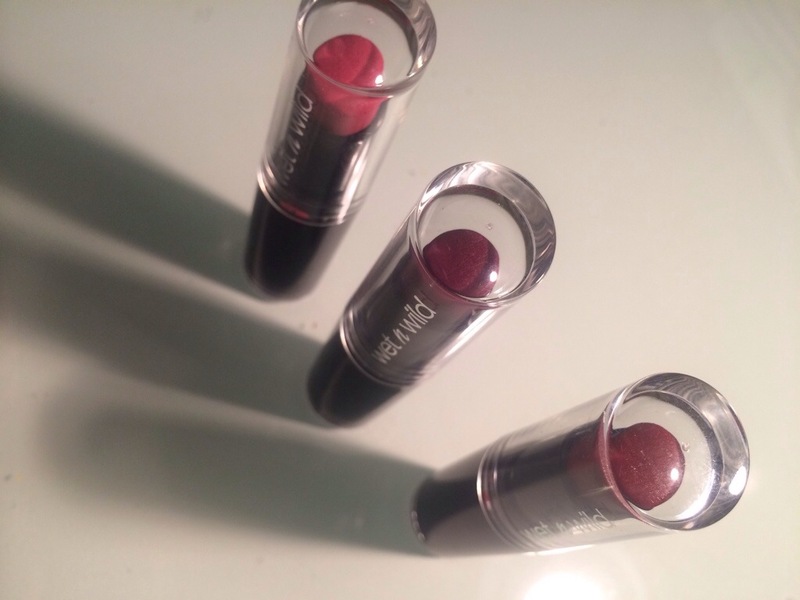 First of all these lipsticks are matte, and last an extreme long time! not to mention they are dirt cheap! 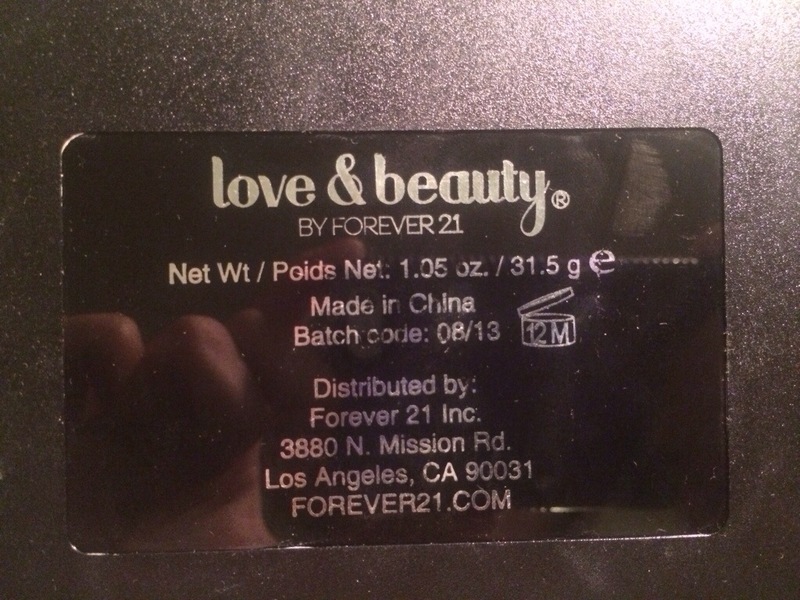 I purchased these at Walmart for 2.6$ around and 3 after tax. 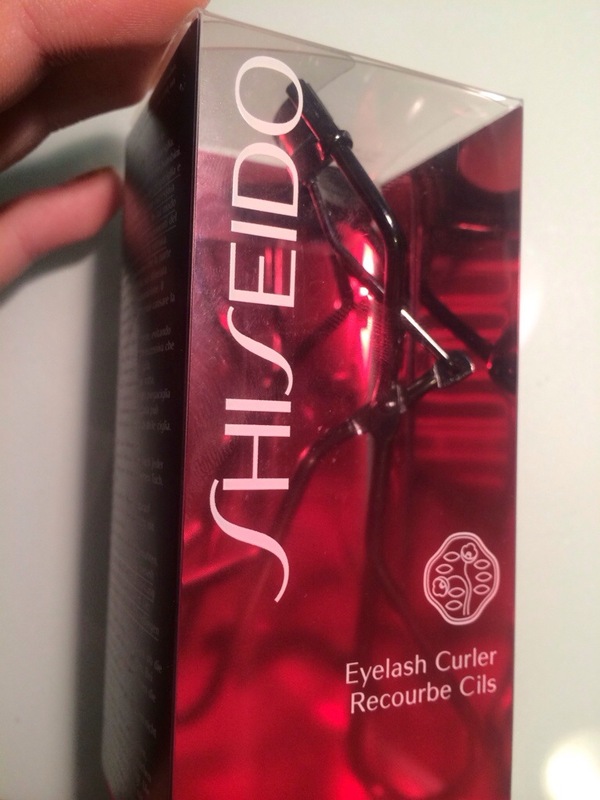 The color is opaque and the color of the seal at the bottom is the color you are going to get. 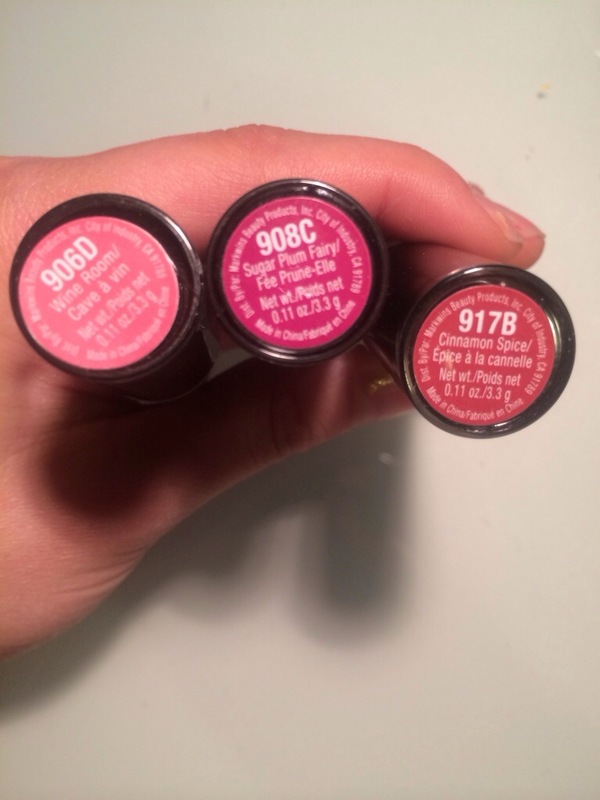 I must say these are a tad bit drying, and so I would recommend a lipbalm ( i use eos) underneath before application. 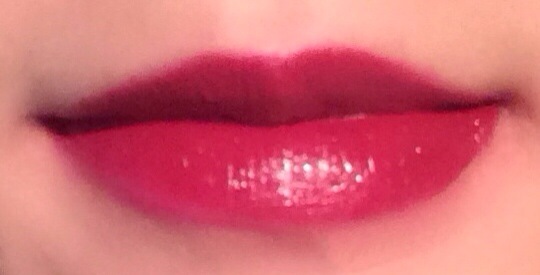 The lightest shade I own at the moment is “White Room 906D” a pretty pinky rosy magenta color. I think this color would look flattering on anyone. 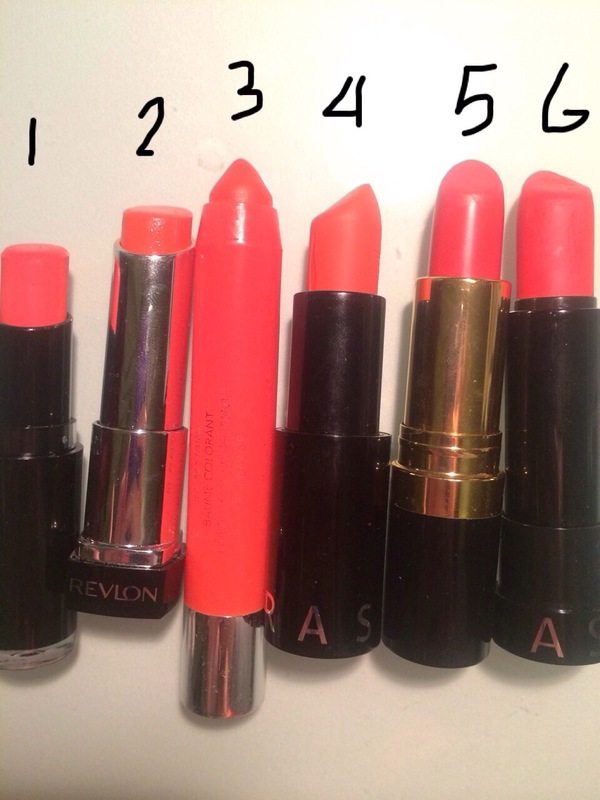 Really easy color to wear if you want to just brighten the look a bit! Finally the Darkest shade i own is called “917B Cinnamon Spice” to be honest this is my least favourite color that I own. It didnt really look like what I was expecting it to look like. 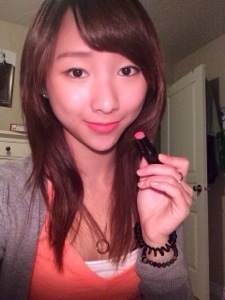 I was hoping for a bit of a lighter shade but it turned out a looot darker and vampy than i had wished. 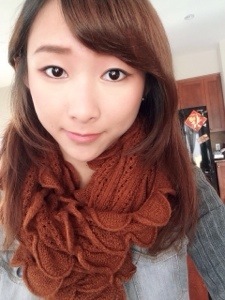 This is a very cool toned mahogany color which is very in trend for this year’s winter/fall, however just doesnt look that good on me. It is too dark and ashy. The seal was unfortunately not as dark as it appears on your lips. 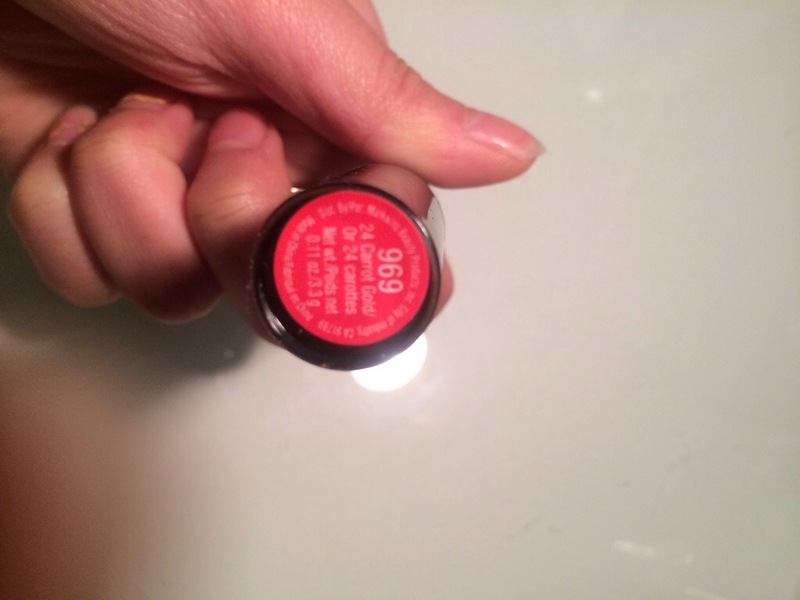 the color appears to be a bright red shade which looks really pretty. 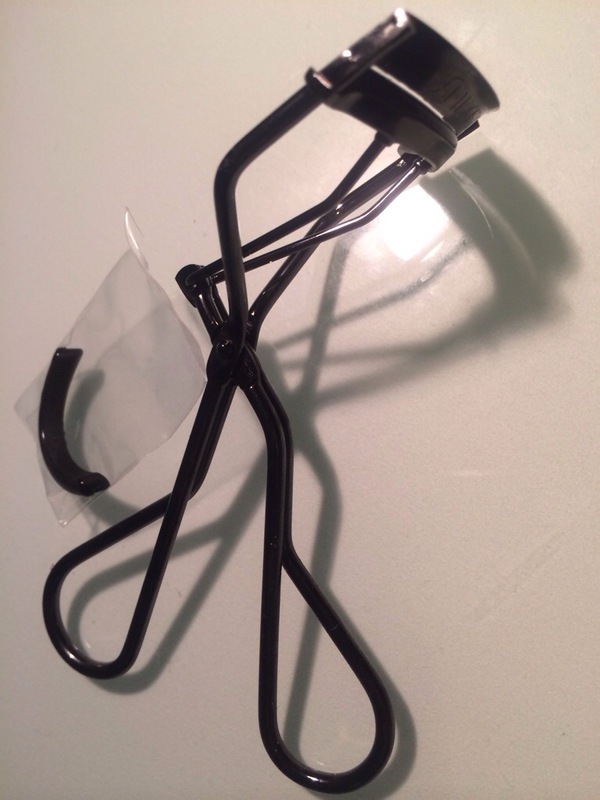 It applys pink with one swipe but with two it then turns to red. 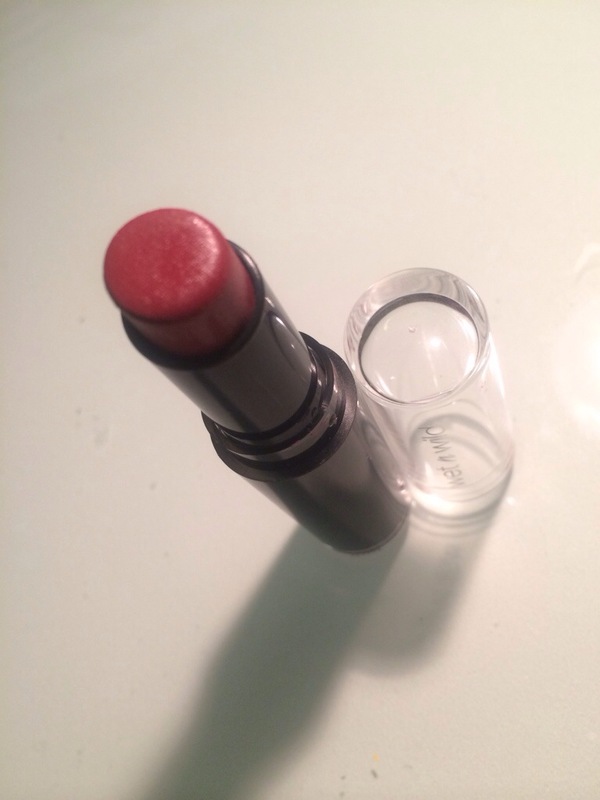 I think its a really attractive warm toned red, but note quite brickred. I think it really looks flattering for people with light to tan skin. in this picture I have 904B Rose bud on my lips. 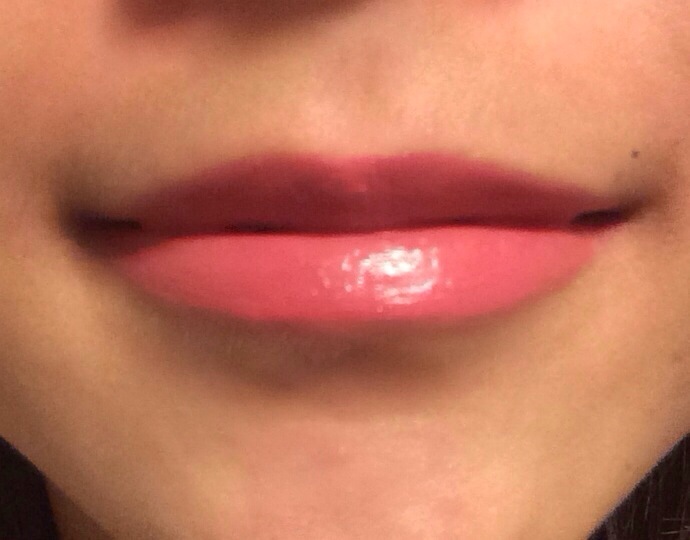 The color isnt much different on the lips but has a milkier look. 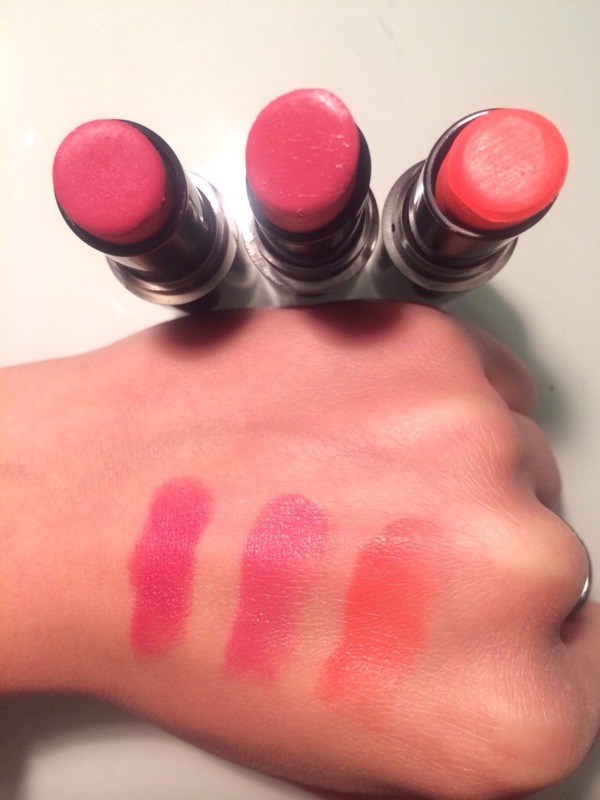 969 24 Carrot Gold: At first, looks like a neon red with a hint of orange, however swatched appears a lot lighter. 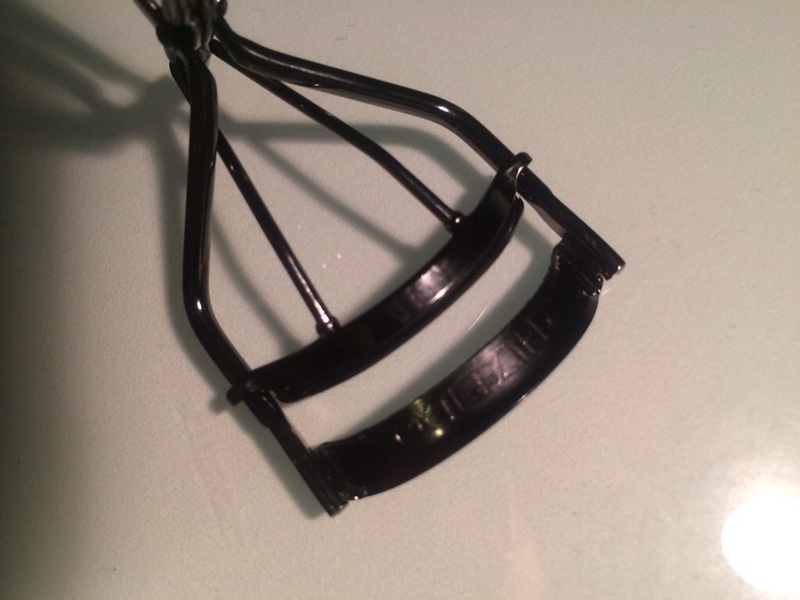 unfortunately it does not go down all the way so when you put the lid back on it can chip and hit the lipstick and ruin it. 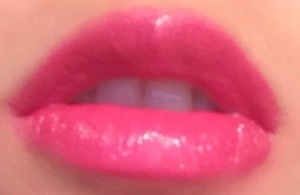 I have a bit of lipstick on the lid already and sometimes can transfer to your fingers! 😦 I have also hear things about the bullet breaking and things like that but I cant really complain when it only costs 3$! 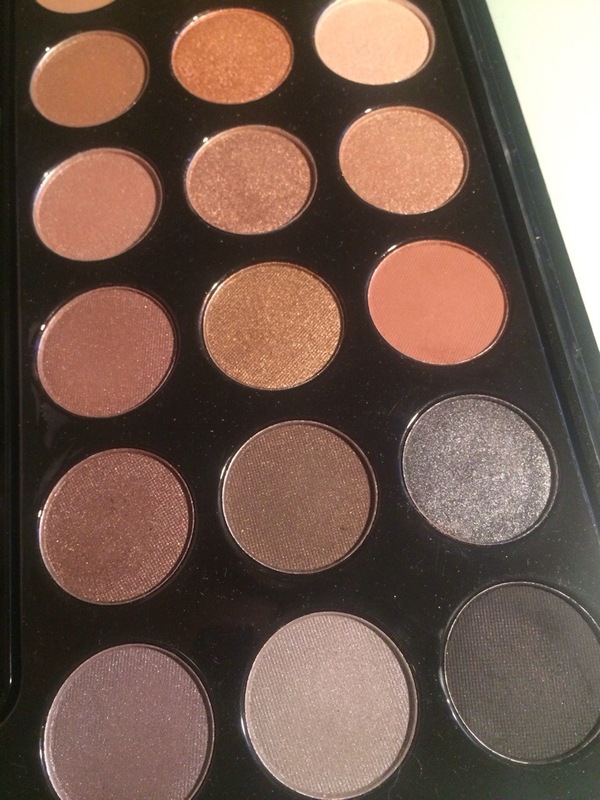 This was my first palette, and it’s one that I enjoy the most. 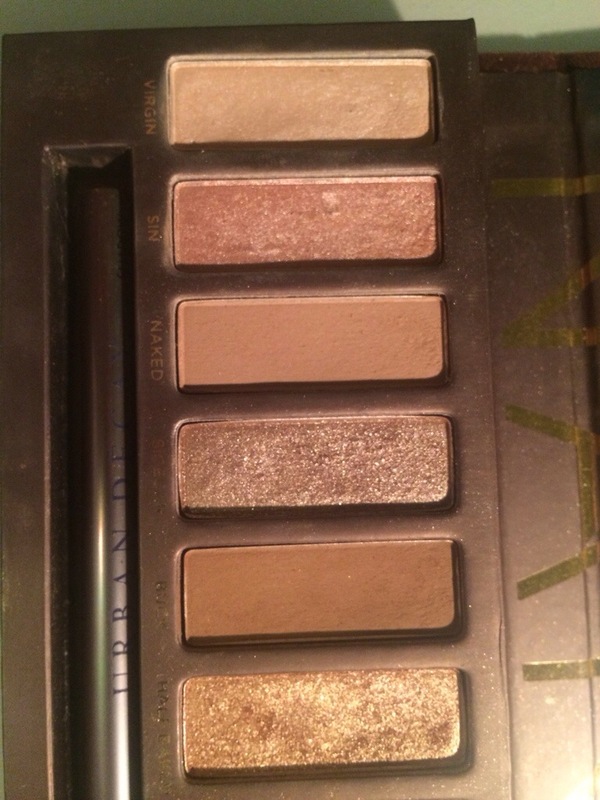 The shades are very very flattering and are mostly frost/sparkly finish with 2 mattes (Naked (#3) and Buck (#5) I think that this is totally worth the money that you are paying. 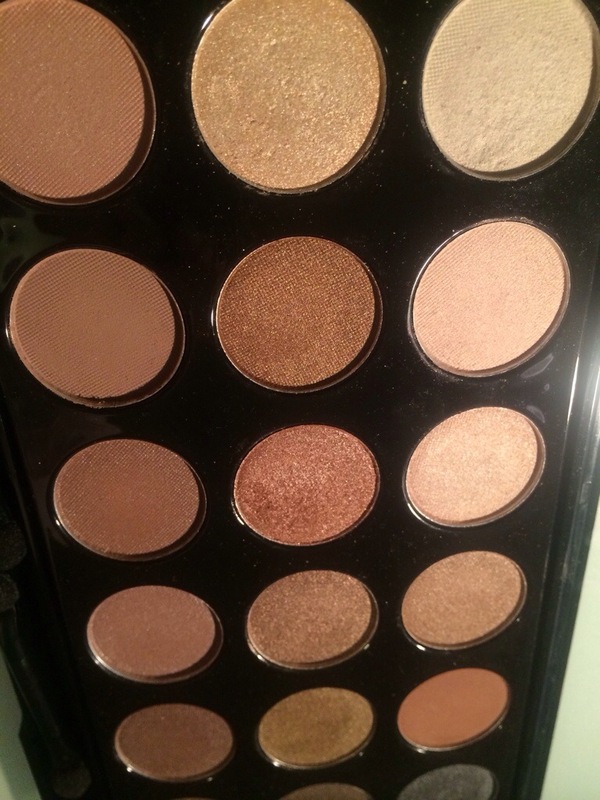 Personally I have olive skin so i tend to lean more towards neutrals so this is a great palette to work with especially if u are in the neutral-olive-yellow skins tones. 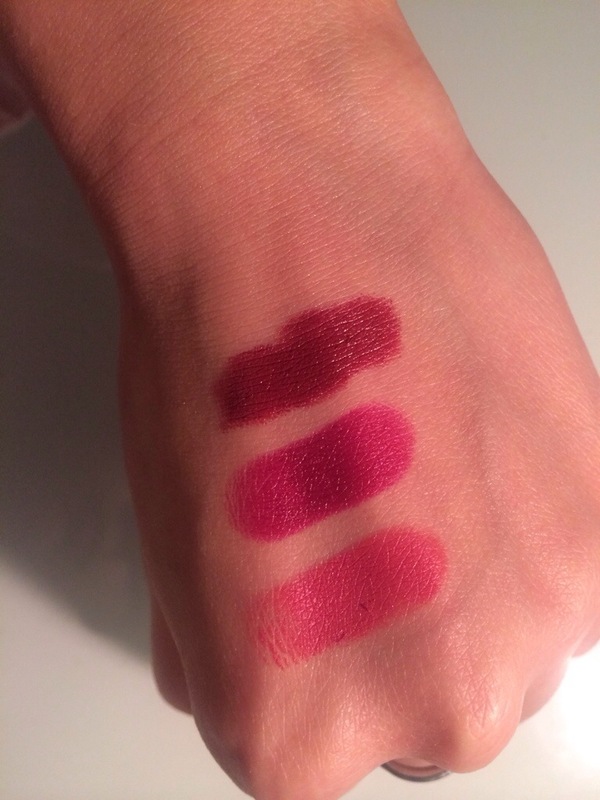 The first 3 shades (Virgin, sin, naked) are a bit more sheer than all the other shades. 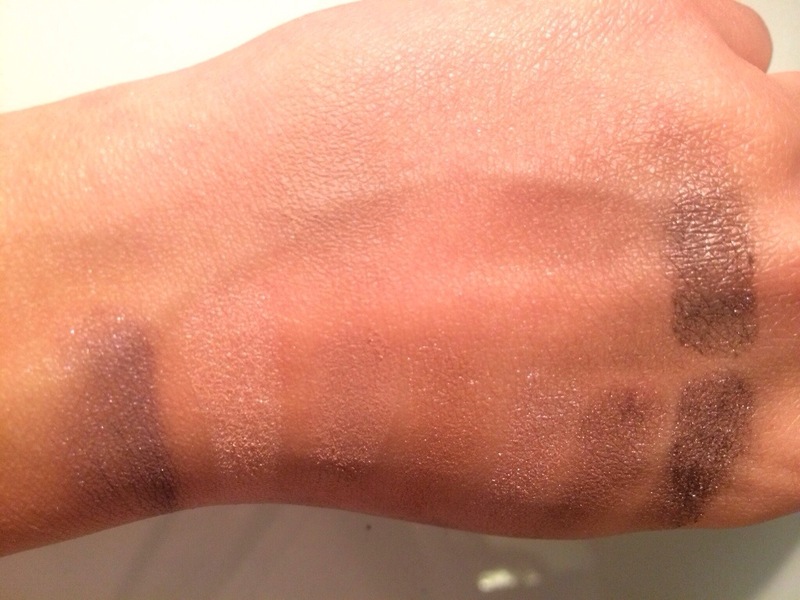 As you can see with the swatches they get more and more pigmented as they get darker. You cant really see naked because its very close with my skin tone, maybe just a tad bit darker. 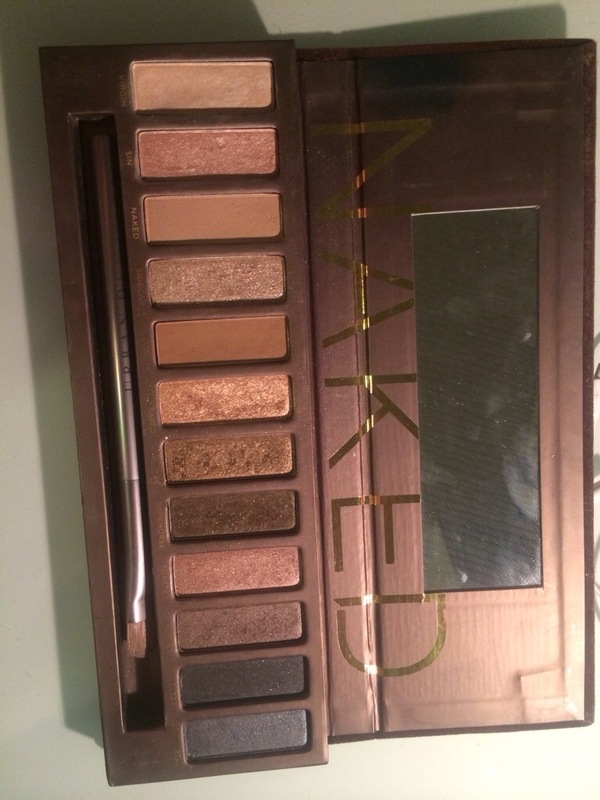 All in all ive been using this for 2 years now and i enjoy it so much, and i highly recommend it!